Reiki is healing touch where the therapist’s hands warm up and it feels relaxing like that point between being awake and asleep. Buddhist in nature, reiki (pronounced “ray-key”) is the combining of universal energy with individual energy to open pathways of healing. It teaches that disease is not separate from the body; it is the body out of balance. This energy healing method involves placing the hands on or just above the body in order to align chakras and bring healing energy to organs and glands. 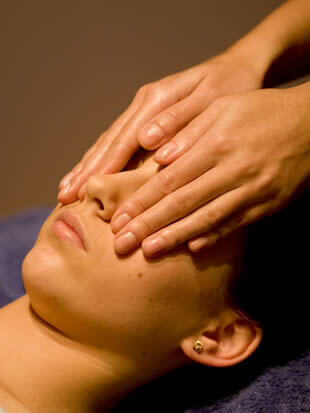 The practitioner uses a passive touch that some clients experience with a warmth or tingling. Treatments work by dissolving or eliminating toxic energy. This works to strengthen the harmonic flow of energy within the body. The only therapist right now that does reiki is Michele. She can mix it in with a massage by request.